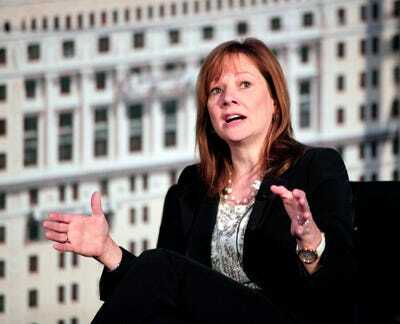 Bill Pugliano/GettyGM CEO Mary Barra. Before its 2009 bailout and bankruptcy, General Motors could only make money if the US market saw 16 million in annual new vehicle sales. The crisis changed all that, at least according to GM. CEO Mary Barra, her right-hand man Mark Reuss, and CFO Chuck Stevens all maintain that GM can break even if the market falls catastrophically, to a 10-11 million pace, from its current 17 million level. The first time I heard this, I was stunned. It was at the LA auto show last November. And when Reuss said it, the gathered journalists asked him to repeat himself. Which he did. But GM has said it a lot since. Barra repeated the guidance in an interview with Bloomberg TV this week. Jonas’ argument doesn’t make a lot of sense in this context. Pre-bankruptcy GM did need the US market to run at the “replacement rate” of about 15 million in sales per year to break even. But that was when GM was saddled with more debt, more legacy obligations from previous union contracts, more brands — Remember Pontiac and Saturn and Hummer and Saab — and wasn’t selling lots and lots of profitable trucks and SUVs every year. When it was reorganized in bankruptcy, GM was structured to be profitable in at least a replacement-rate market, with the break-even calibrated to be significantly below that. Jonas’ notion that a slip of a million or two in annual sales below the replacement rate would push GM out of profitability and toward break-even assumes that GM is on pretty much the same knife edge is was before the 2009 downturn. CadillacSUVs are keeping GM in the black. It is also worth noting that such a sales decline would be spread throughout the industry in the US and could affect sales of some vehicles more than others. For example, anyone not selling a compact, fuel-efficient crossover SUV would feel pain. 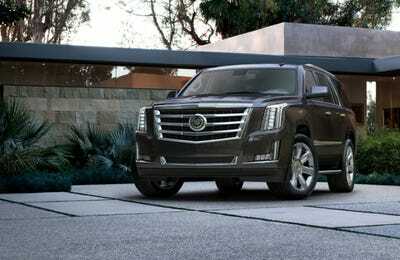 But GM is selling a lot of those vehicles. In any case, whatever differences GM and Jonas might have — he did publish his note earlier in the year, when recession worry was cresting — are somewhat moot now, as the US market is on pace to match last year’s record sales of 17.5 million new cars and trucks (although the growth surge of the past three years could be flattening). It would take a big economic hit to drop this market back to a replacement rate — and an even bigger one to lop 3-4 million sales off the current pace. So we’re unlikely to find out whether Jonas or GM is right any time soon.